Learning Wall - Build. Collaborate. Share. Learning Wall - Build. Collaborate. Share. It doesn’t matter if you’re using an iPad, a computer or a big touchscreen, you can drag and drop our favourite apps onto your Learning Wall in seconds. Customise your Walls, add unlimited Walls (paid only), Share socially, engage your community and inspire with some exciting features. Sign up now for a free account and you will be live immediately. 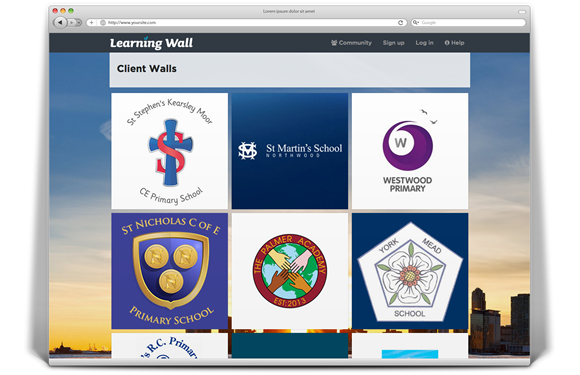 You can then add your own apps, drag and drop our favourite apps and practice your coding with Learning Wall widgets. Learning Wall is brilliant! I have already integrated Learning Wall in every lesson I teach, with students from Year 1-8. Learning Wall helps with class organization because it serves as a homepage of all my web links. It helps to make the organization of class delivery easier and clearer. The most distinguishing result of using Learning Wall instead of other tools is that students, when they return home, can see what they see in class. They have access to the exactly same screen as shown in classroom which helps them to recall what they have learnt in class. It makes life easier. I love it and I play with it. Learning Wall is a fantastic idea. The students’ Learning Wall was created by me, with ideas from students. 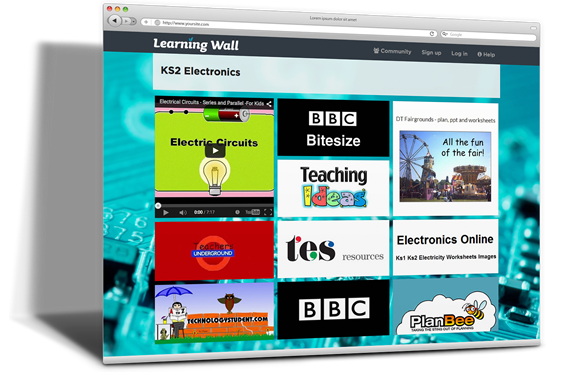 Students can access their own Learning Wall at home or school, for games, research and homework. The teachers’ Learning Wall is an effective teaching tool. I think the most obvious result of using Learning Wall is that I can get more done in one class because Learning Wall saves me a lot of time in searching, opening and closing websites. And I think it also helps to engage students. As I don’t have to pop in Google to search for websites I need, I can simply open them and continue with my teaching. Students therefore have no time to distract. 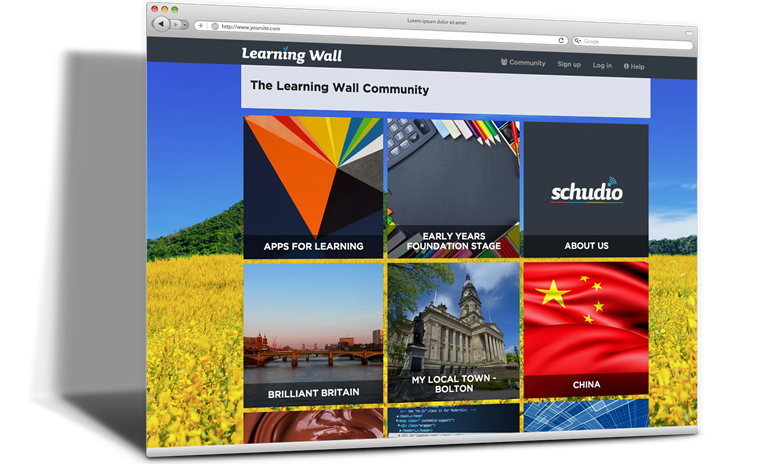 The Learning Wall Community is amazing. Every teacher uses Learning Wall in every class. 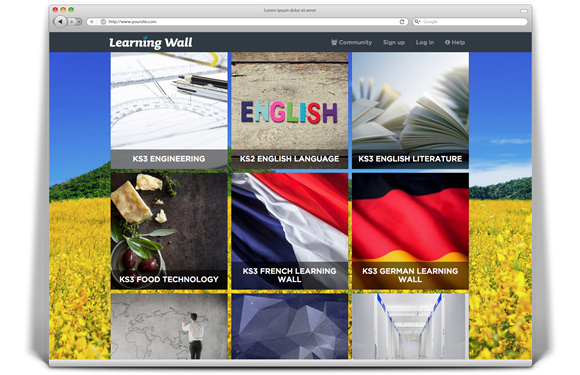 Community Learning Walls cover several topics required by national curriculum, such as Victorian Era and those students are interested in, such as chocolate. These Community Learning Walls are open to everyone. When I need to teach these topics, I will visit these walls to gather related information. We can also suggest useful links to Schudio. I believe, if teachers all across the UK can share ideas and teaching experiences on common topics, the class quality will be greatly enhanced.